WASHINGTON (CN) – Dealing a blow to a critically endangered species of frog, the Supreme Court revived a lawsuit Tuesday brought by landowners whose logging deals could earn them millions. 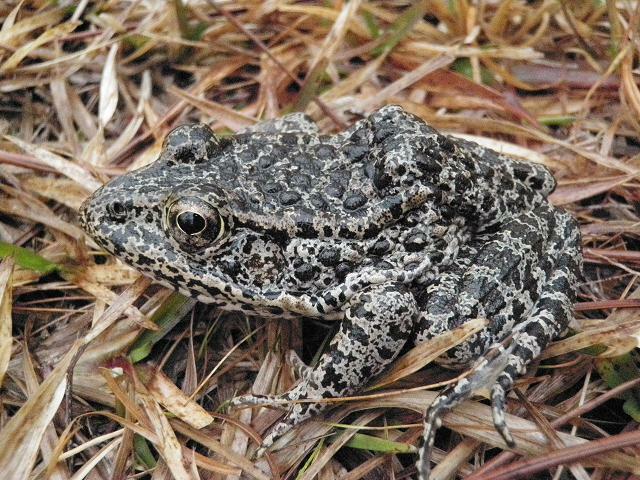 “The dusky gopher frog once lived throughout coastal Alabama, Louisiana, and Mississippi, in the longleaf pine forests that used to cover the southeast,” Chief Justice John Roberts explained, joined in the ruling by all but Justice Brett Kavanaugh, who was confirmed to the bench days after the court heard oral arguments. Another factor that concerned regulators was that all four sites were located in two adjacent counties on the Gulf Coast of Mississippi — a circumstance that could put the entire species in jeopardy if those areas faced a bout of extreme weather or a disease outbreak. Regulators in turn proposed to include a 1,544-acre site of land in St. Tammany Parish, Louisiana, as part of the frog’s critical habitat. Though the site was once home to the last-known population of the frog outside of Mississippi, that was back in 1965, with no trace of the frog there since. Today a closed-canopy timber plantation occupies much of the site, and it is undisputed that the government’s interference in its development could deprive private landowners of nearly $34 million. “St. Tammany Parish is a fast-growing part of the New Orleans metropolitan area, and the land-owners have already invested in plans to more profitably develop the site,” Roberts added Tuesday. To have the habitat designation vacated, these landowners teamed up with the Weyerhaeuser Company, a timber outfit to which they leased their land. They argued that habitat cannot include areas currently uninhabited by a species, but their case was unsuccessful in both District Court and the Fifth Circuit. The Supreme Court vacated the underlying judgment, however, and remanded the case Tuesday for additional proceedings. 4(a)(3)(A)(i) of the Endangered Species Act, which he noted is “the sole source of authority for critical-habitat designations.” Another question the court must consider is whether, as Weyerhaeuser argues, the administrative record shows that the frog could not survive in the St. Tammany Parish site. As for the challengers’ economic claims — that the cost to landowners warranted an exclusion from designation — Roberts agreed that the Fifth Circuit failed to consider whether the government’s assessment of the costs and benefits of designation was flawed in a way that rendered the resulting decision arbitrary, capricious, or an abuse of discretion. “Accordingly, we remand to the Court of Appeals to consider that question, if necessary, in the first instance,” the ruling concludes. The nonprofit groups Gulf Restoration Network and the Center for Biological Diversity intervened in the case on behalf of the Fish & Wildlife Service, which is represented by the U.S. Solicitor General’s Office. Collette Adkins, an attorney for the Center for Biological Diversity who argued the case at the Supreme Court, meanwhile emphasized that efforts to sustain the dusky gopher frog are ongoing.